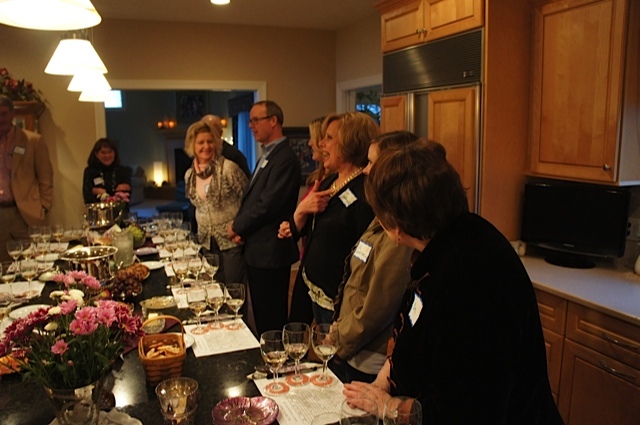 The Wine Fellowship Group had a great tasting at Steve and Meryl Mixtacki’s house on April 29. 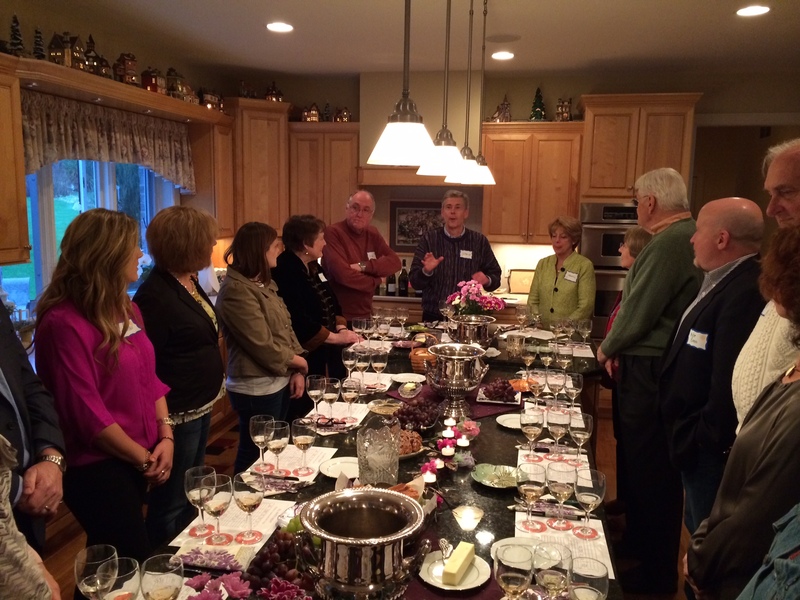 This time there were several new Wine Fellowship attendees, which everyone thought was great. 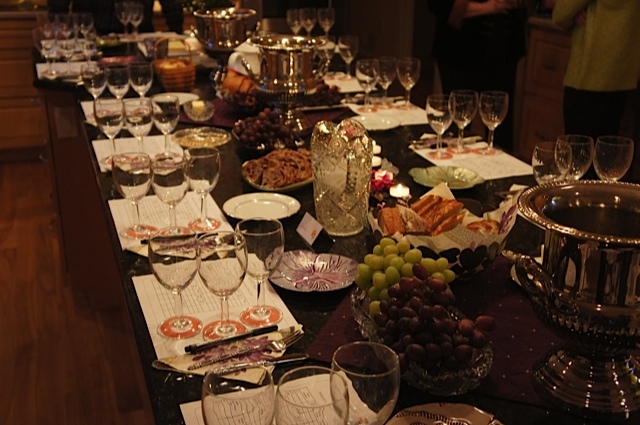 The theme was an ALL WHITE WINE tasting, in preparation for the long awaited spring season. We started with three sparkling wines: a Cremant from France but not from the Champagne appellation, a Spanish Cava made by the same Traditionale Methode and an Italian Proseco where the secondary fermentation (the source of sparkling wine bubble formation) occurs in steel tanks and then the sparkling wine is bottled, rather than the actual bottle being the site of bubble production as in the traditional Champagne method. These wines represented different price points: $5-10, $11-20 and $20-30. The Champion that evening by the vast majority of tasters was the Spanish cava of Juame Serra Cristalino extra-brut (made by the traditional method) with a retail price of between $6-7, a real bargain of a wine and well worth stocking up on for the short-term future. We then tried New World/Old World Sauvignon Blancs, with the new world represented by New Zealand and California, and the old world by the Loire Valley in France. The grapefruit aromas on the NZ wine was recorded as the best by the fellowship, and NZ Sauvignon Blancs have been accepted as the best of that grape varietal. The Loire version was more steely, and the Californian had some oak perceived on the palate, and both these tastes typify the respective regions. Then three unknown varietal’s were tried of a group called Anything But Chardonnay (ABC) and the Riesling was most recognizable being slightly sweet with a typical “petroleum” aroma. The apricot-like Viognier was then recognized and by deduction when the three wines were revealed, the Portuguese (usually Spanish) Albarino was established by simple elimination when the other two wines were identified. As far as the participants were concerned, there was similar preferences for favorite of each of these three very different wines. The last part of the formal tasting was a selection of Mike Wilson’s Robert Young Vineyard Chardonnays from the 2006/2008/2010 vintages. These wines were quite old by Chardonnay standards, and it was revealing that the oldest 2006 vintage was the preferred wine. 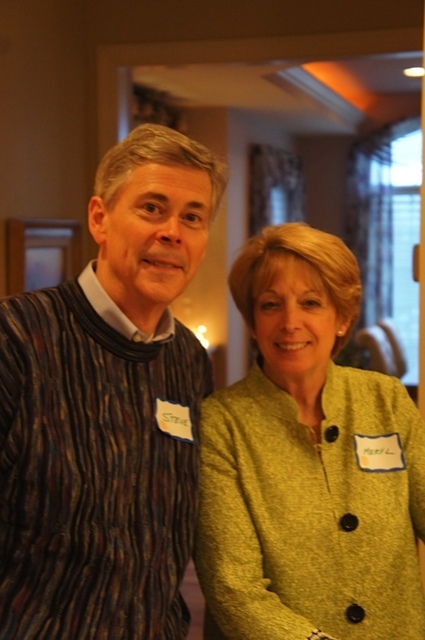 Thank you to hosts Steve & Meryl Mixtacki! Because the group was larger than usual Steve Mixtacki produced two spicy Gurwurtztraminers and Mike Wilson matched a Brut with the ExtraBrut Cristalino sparkler, to show the contrast in dryness’s (the brut was dryer than the Extra brut). Four cheeses were provided by the Wilson’s: Manchego (Spanish hard sheep cheese), Brie, a German Triple Cream Blue Cambazola, and a cow cheese Dubliner. Meryl Mixtacki provided nuts, fruit spears, proscuitto wrapped melon, chocolate coated strawberries,and a yellow citris cake. A great time was had by all! 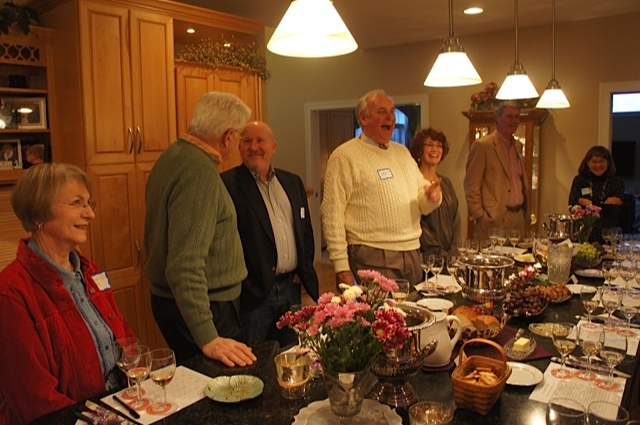 Many wines, many appetizers, some education, and particularly good fun was had by everyone. This entry was posted in 2. Meetings, 4. 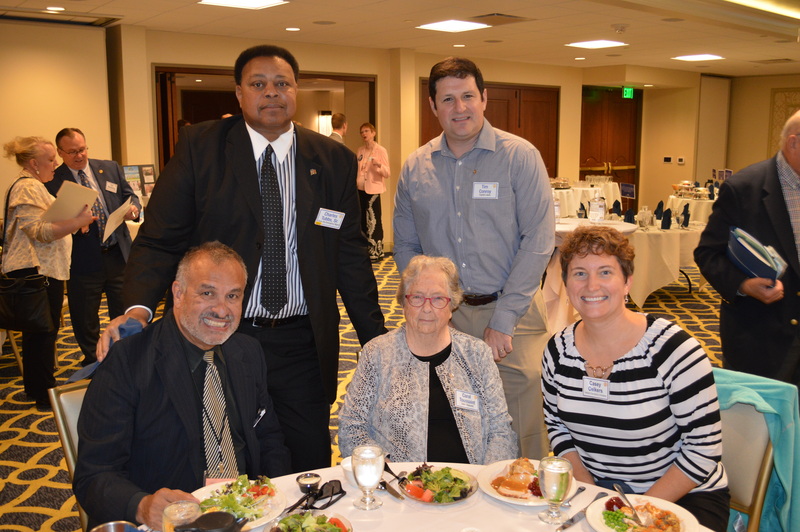 Fellowship Groups, Wine Fellowship and tagged Fellowship, Rotary, Wine Fellowship Group. Bookmark the permalink.